North Korea will send a top government official to Washington, D.C. later this week, CNN reported Wednesday amid indications that the two sides are moving closer to a second summit. 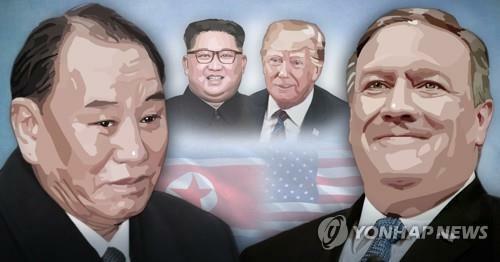 Kim Yong-chol, North Korea's top negotiator and ex-spymaster, plans to arrive there Thursday (local time) for a two-day stay, according to the broadcaster. It cited two U.S. sources familiar with ongoing negotiations. The North Korean envoy visited the U.S. capital last year, less than two weeks ahead of the Kim-Trump summit in Singapore on June 12. He met with Trump at the White House. China's foreign ministry said Kim will make a stopover in Beijing. "As far as I know, (he) will be stopping over in Beijing," its spokesperson, Hua Chunying, said at a press briefing without elaborating.